We succest that you check the route as soon the final GPS track is available. The route will follow roads, backroads, cycling paths and includes also gravel sections. In general we try to use paved roads. You always have to be prepared for roadconstructions with bad road surface. Be prepared for everything. Cold and rain in the north, snow in the mountains, heat in lower regions or even in the mountains. It’s in the riders responsibility, to check the local laws. 9. How do i come to the start? We will organize a bus with trailer for the bikes from Alta to the NorthCape. 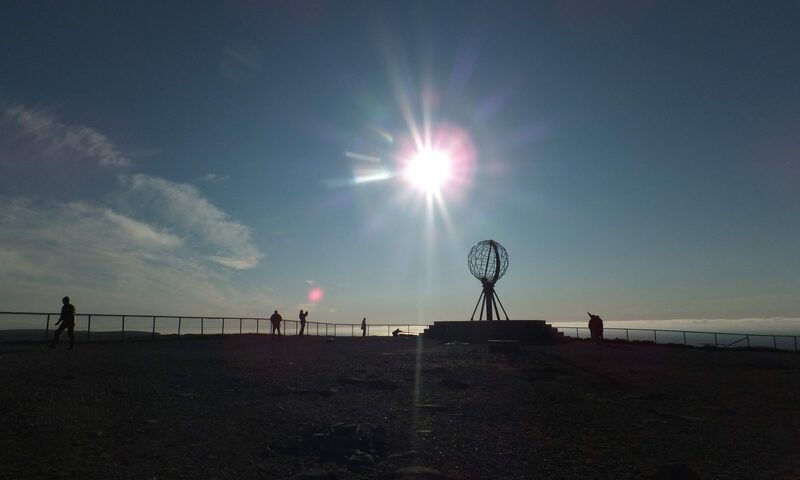 The bus will leave Alta 19.06.2019 / 14:00 and arrive at the NorthCape around 18:00. Cost incl. bike Euro 110.-/person. Reservation with the registration is necessary. Train to Narvik and from there by bus. By sea, Hurtigruten calls at Honningsvåg twice a day. Nearby airports: There are major airports in Alta and Lakselv. Flights to Honningsvåg by Wideore. 10. How do i come from Helsinki to Tallinn? 11. How do i come home from…? You find bicycle shops in Helsinki, Bregenz, Nice and Tarifa. Best you get in contact with a shop in advance to make sure they have a box for you. If you need help packing your bike, they probable will help you too. 13. Can i change my finishing point during the race? You have time till May 31th how far you will cycle, if you will go for the whole route to Tarifa or finish at the beach in Nice. As soon the race is startet, there is no change possible, to get classified. We think it would be not fair, targeting a finish at Tarifa and when you see you prefer to finish in Nice changing the finish line. If you start for Tarifa and finish at Nice, you will be listed as finisher for Nice but not classified. Pico del Veleta: the check point selfie photo has not anymore to be taken with the monument at the top, instead in front of the small house about 10m below the top monument. This is also accessible for the recumbent bikes. No more bike carrying over the rocks. Last stretch into Tarifa is no more choice between the N340/E5 from Algeciras and the CA-221. N340/E5 is no longer part of the route. After Granada, the route goes now trough Zafarraya. 6km less gravel and and an additional resuply opportunity in Zafarraya. Sort, Spain: error in the GPX solved, route follows now trough Sort the N260. The river crossing there i snot anymore part of the route. Estland: From Uulu to Häädemeeste the route uses the 333 instead the No. 4. 24km less along the No. 4. Lettland: Kalkis to Jelgava 26km over A9 and P99 is no longer part of the route. New it keeps on the right side of the river Lielupe to Rosiba, then P96 to Kronauce and P103 to Tervete. Lichtenstein is a new country the route will come along. For this the cycling route follows east side of the river will be used. This results also in more riding in Austria.